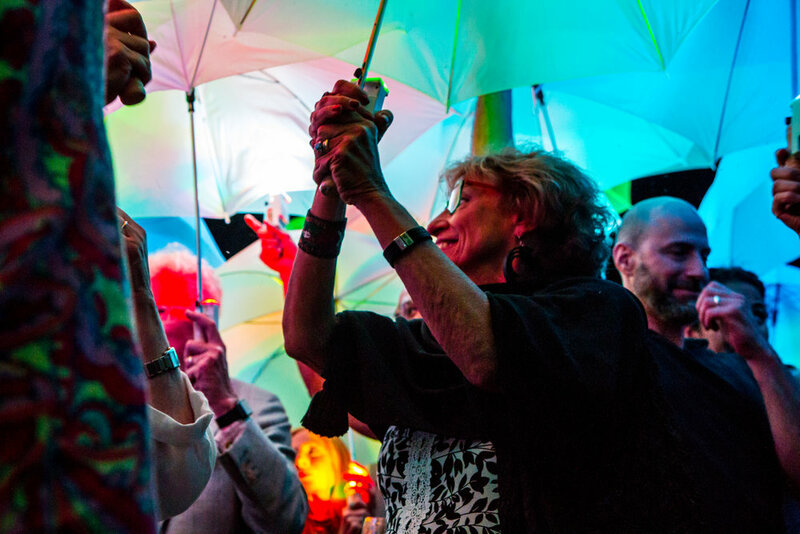 Audience members wield lighted umbrellas in a large-scale, live performance piece created in collaboration with MIT. As participants change the color of their umbrellas the collective landscape of colored bodies shifts. Shown in real-time via a bird’s-eye-view projection, the view is stunning, colorful, and a visual indication of the “whole” indeed being greater than the sum of its parts.